Hotel Milano Castello is located in a strategic position to reach the three venues of Il Piccolo in a few minutes on foot. 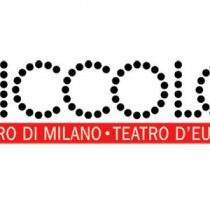 The Piccolo Teatro was established on the 14th of May 1947 by Giorgio Strehler, Paolo Grassi and Nina Vinchi. It was the first public Italian theatre to be built in Italy, and the most popular on the national and international scene. The vision of the founders was to create an institution, supported by the central government and by local authorities, as a public service essential for the wellbeing of its citizens. The slogan that accompanied the birth of the Piccolo Teatro was “An Arts Theatre for Everyone” and this phrase still sums up the theatre’s mission today: to stage quality shows for the broadest possible audience. 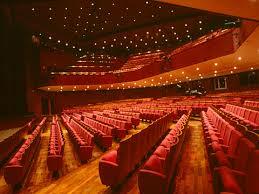 Since 1991, the Piccolo Teatro di Milano is also a “Teatro d’Europa” (Theatre of Europe). The Piccolo Teatro manages three venues: the historic venue, renamed Piccolo Teatro Grassi, that in 2009 underwent restoration work that “unveiled” and gave back to the city the splendid Chiostro Rinascimentale (Renaissance Cloister), located adjacent to the theatre; the experimental space of the Teatro Studio, that also houses the Theatre School; and finally, the main venue, named Piccolo Teatro Strehler, that opened in January 1998. In over sixty-seven years of activity, the Piccolo Teatro has produced more than 300 shows. Since 1998 the Piccolo has expanded its international and interdisciplinary dimension, proposing itself as the ideal cultural centre for the city and for Europe.